In the previous posts looking back at rider and team performances in 2018, the focus was on race wins. Here, we take a look at a different measure of rider performance: points rankings. Points rankings systems are an attempt to objectively measure rider performances over the season. Each system allocates points to riders according to their position in a race. More points are on offer in races with higher classifications, although each system varies in how much weight they give to each race type. The UCI World Rankings and the ProCyclingStats (PCS) Rankings are similar in that both systems allocate points for UCI-accredited races, but do so with slightly different emphases. The UCI system, for example, gives a lot more weight (and therefore points) to national road race championships than the PCS system. Neither system, however, allocates points for races below the UCI level. This is where the British Cycling rankings come in; this system allocates points to all British Cycling-accredited races, but not UCI ones. British Continental teams, as well as many elite-level teams in the UK, will typically ride a mixture of UCI races and British Cycling races. This means there is currently no system which tries to rank rider and team performance across the season for both race types. We plan to address this in the 2019 new season with a new, British Continental rankings system, which unifies the UCI and British Cycling systems. More on that another day. The UCI World Ranking is different from the World Tour rankings, in that it awards points for all UCI road races across the globe. Confusingly, the UCI 2018 race season doesn’t align with the calendar year, and so started on the 23rd October 2017 and finished in October 2018. Connor Swift (Madison Genesis) comfortably topped these rankings, thanks in large part to his British road race championships win (which scored him 100 points alone). But he was also 2nd on GC in the Kreiz Breizh Elites (2.2) race, 5th in La Poly Normande (1.1) and 4th in the Rutland-Melton Cicle Classic (1.2), all of which earned him decent UCI points hauls. Dani Whitehouse (Interpro Stradalli Racing) didn’t pick up a win in 2018 (unlike previous seasons) but scored consistently enough in Asia (5th on GC in the Tour of Indonesia, 2nd on GC in the Tour de Singkarak in November 2017) and Canada (2nd on GC in the Tour de Beauce) to bag tied 2nd spot on the rankings. Whitehouse will move to the new Irish team Evo Pro Racing for the 2019 season. Note that neither Swift or Whitehouse troubled the top of the rider wins rankings for 2018. Instead, they won their points through consistently strong placings throughout the season. Conversely, of the two British Continental riders who grabbed the most UCI wins in 2018, Stevie Williams doesn’t feature in the UCI top ten at all, and Matt Gibson only just squeezes in. One rider who did well on both measures was Gabriel Cullaigh (Team Wiggins). He picked up three UCI wins, but was also placed well enough in other races to come tied 2nd in the UCI rankings. 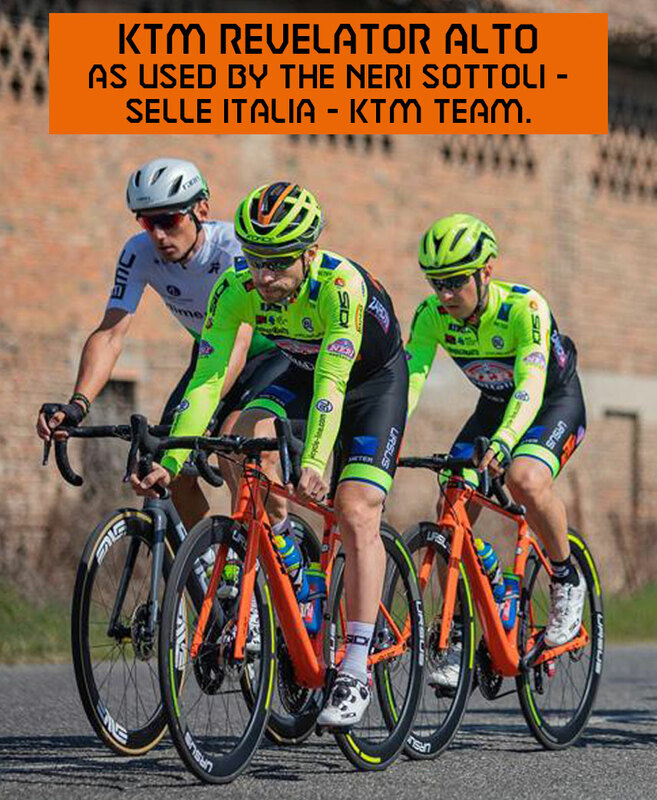 As well as his two stage wins in the Volta ao Alentejo and his Rutland – Melton Cicle Classic victory, he also scored well with his 3rd place in the Gran Premio della Liberazione (1.2U) and his 7th place in the national road race championships. Future stars Ethan Hayter and Jake Stewart (both Great Britain Senior Academy) also featured in the top ten despite not winning any UCI races. Hayter picked up 100 of his points for his two U23 World Championships rides (8th in the road race, 5th in the time trial). First year U23 Jake Stewart, meanwhile, was 2nd in the Kattekoers-Ieper (1.NCup) and 3rd in the Trofeo Piva (1.2U) a week later. Hayter hasn’t decided on this team for 2019 yet (it will either be the GB Senior Academy again or Team Wiggins Le Col) and Stewart will move to the new FDJ development team. As well as a different weighting system, the PCS Season ranking also differ from the UCI’s in that PCS runs the season from the beginning of the calendar year to the end. Connor Swift and Dani Whitehouse once again featured well in the PCS system, both picking up top 3 placings again. But it was Ian Bibby (JLT Condor) who notched first place. Bibby started the season very well with a stage win and second on GC at the New Zealand Cycle Classic (2.2). An impressive 6th on GC at the Tour de Yorkshire (2.1) was his standout result, points-wise, and he also won the prologue at the Tour of Japan (2.1). Bibby will ride for Madison Genesis in 2019. Harry Tanfield (Canyon Eisberg), Cullaigh and Hayter are the other three riders that feature in both the UCI and PCS top tens. Tom Stewart (JLT Condor), Tom Pidcock (Team Wiggins), Jacob Tipper (Memil – CCN Pro Cycling) and Max Stedman (Canyon Eisberg) all made the PCS top ten but not the UCI World Rankings top ten as a result of the different weightings each system gives to race results. As highlighted above, the British Cycling rankings don’t allocate points for UCI races, only British Cycling races. So it’s the only system of the three that recognises performances in the National A road races. Slightly bizarrely, they also include points accrued in British Cycling-accredited track races, so are not solely a measure of road race performances. There are some familiar names in the British Cycling top ten, despite its different focus. Matt Gibson and Connor Swift were first and second, showing how consistent they were in key domestic races. But there are some less familiar names here too. Mikey Mottram rode for the elite team Morvelo Basso in 2018. He had some very strong race results in National B races, including wins in the Jock Wadley Memorial Race, the Chitterne Road Race and the Peter Sandy Memorial Race. His strong season earned him a place in the Vitus Pro Cycling team for 2019. Mottram is not the only elite rider in the top ten to have bagged a place in a Continental team for 2019. Alex Richardson rode most of the season as an independent rider after leaving One Pro Cycling early in the season due to health issues. He had a standout season nonetheless, including taking a win in the prestigious Lincoln Grand Prix. He’ll ride for Canyon dhb p/b Bloor Homes next season. And George Wood will move from Richardsons-Trek to the SwiftCarbon Pro Cycling. The destination of the other elite rider in the top ten, Liam Walsh, who rode for VC St Raphael in 2018, is unknown. It’s also worth highlighting performances in two other British Cycling rider rankings systems. Madison Genesis’ Jonny McEvoy won the Spring Cup Series individual standings. And Connor Swift won the Grand Prix Series individual standings.